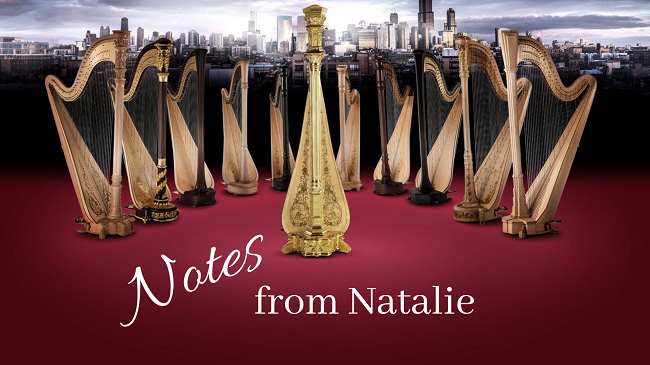 Natalie Bilik, National Sales Manager for Lyon & Healy and Salvi Harps, will give us a History Lecture about these beloved and time-honored instruments, explain the differences between some of their most popular models, and answer questions from the audience. Take advantage of this unique opportunity to ask anything you've ever wondered from one of the foremost authorities on Lyon & Healy and Salvi harps! 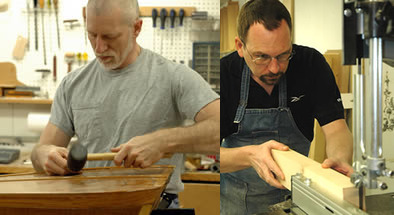 Tom and Scot of Bell Harp Tech perform regulations on both pedal and lever harps of all makes and models. Please contact BellHarp43@gmail.com to schedule an appointment. 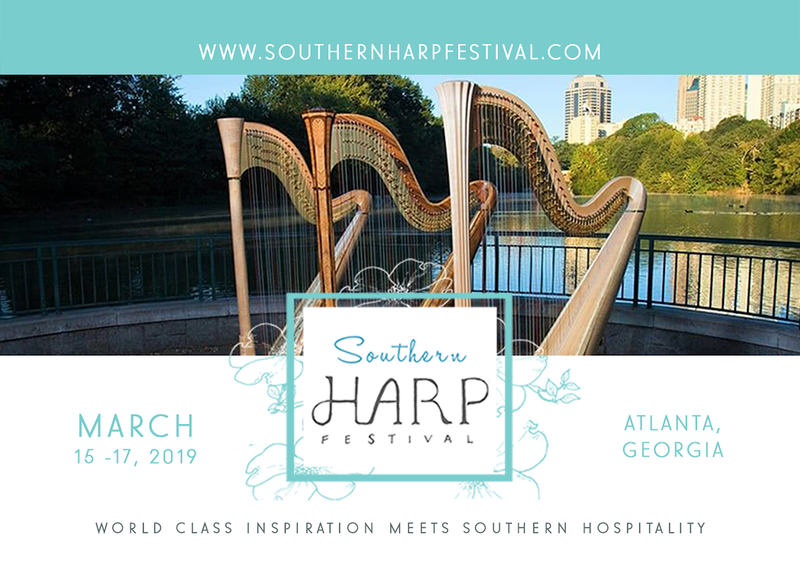 Southern Harp Festival will offer an exciting weekend of concerts, masterclasses, harp ensemble opportunities, and seminars with internationally acclaimed artists in Atlanta, Georgia. Mark your calendar for March 15 -17th. Don’t miss this opportunity to learn from the best! 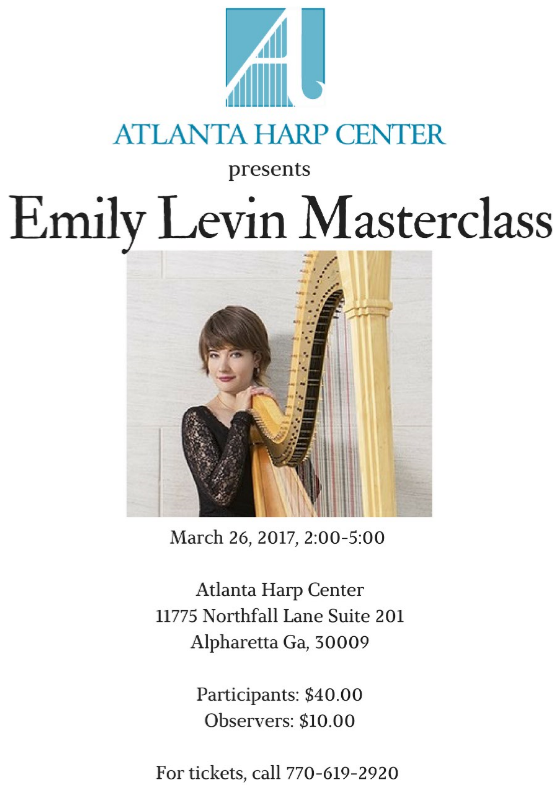 Workshop will discuss basics of the harp and proper technique. One piece will be learned throughout the workshop. Participants will leave with a goody bag of information about moving forward with learning the harp. Come and enjoy a low-key, no commitment experience with the harp! 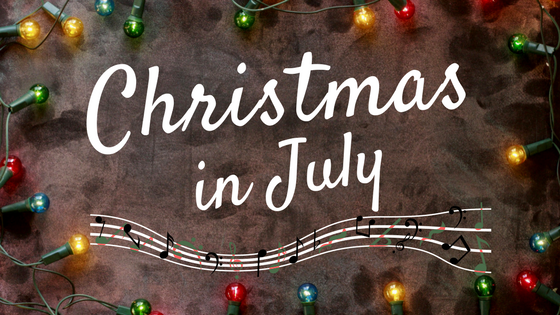 Open to adult harp students of all levels- this is a low-key, no-stage performance opportunity! 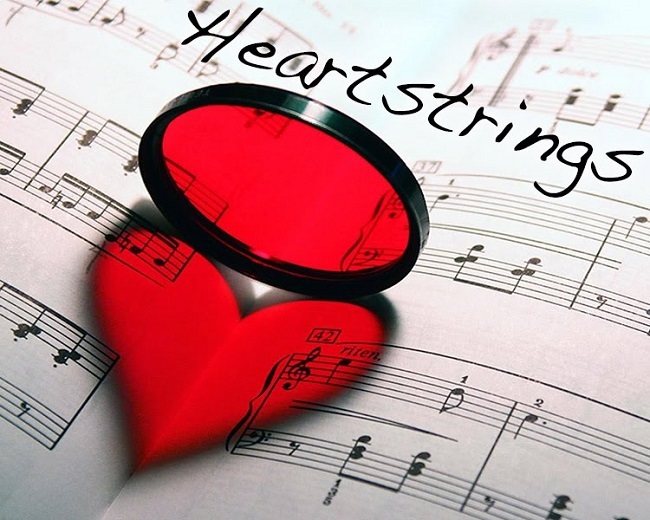 Share your song, share your story, or just come to listen and enjoy. A light reception will follow. You do not need to bring your harp. 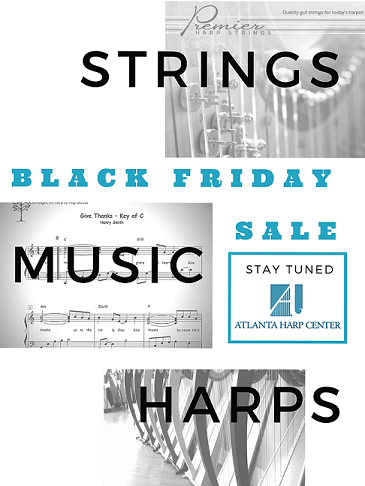 Please RSVP to info@atlantaharpcenter.com by Jan 5th. 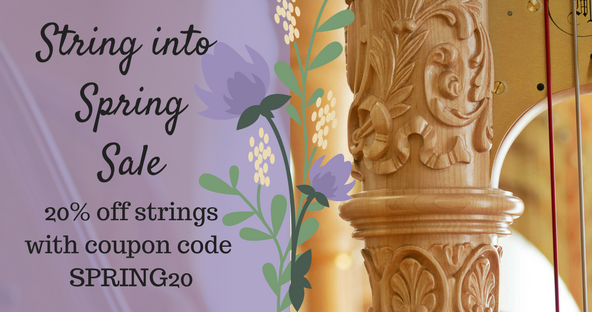 Please join us for drinks, snacks, a string changing class and shopping! String class at 2:30. 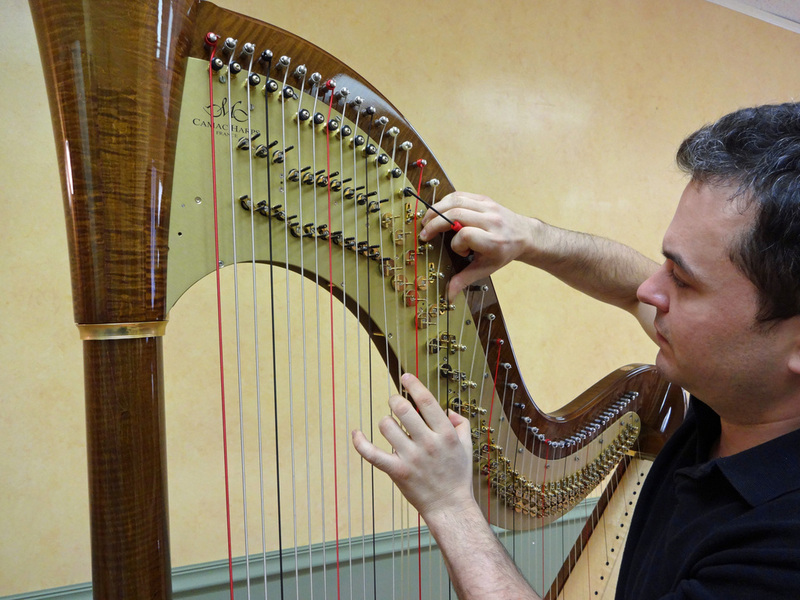 Beginning Harp Class for Adults. 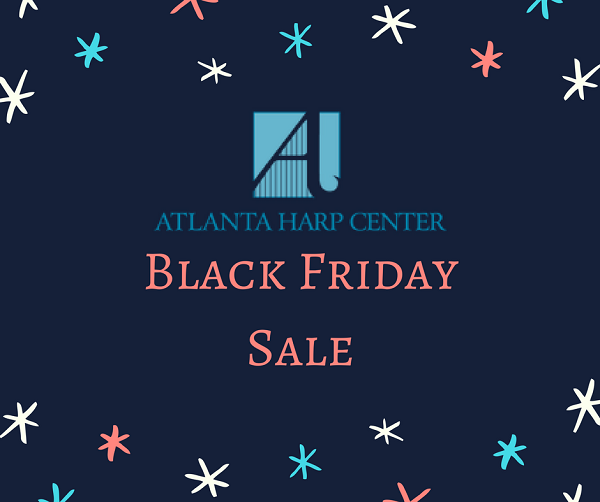 Space is limited, please contact info@atlantaharpcenter.com for more information. Change and tune your strings with confidence! 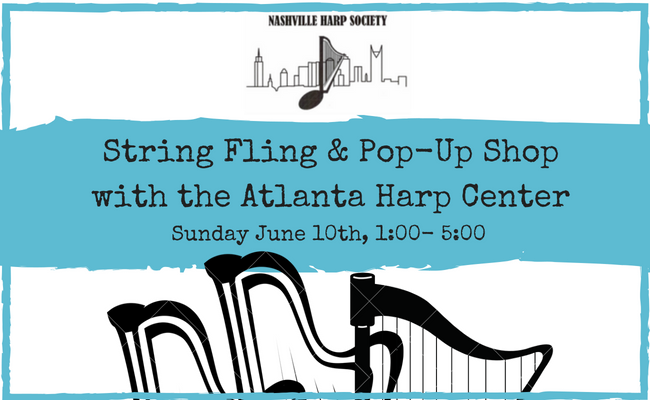 Come shop harps, music, and strings in Nashville TN! 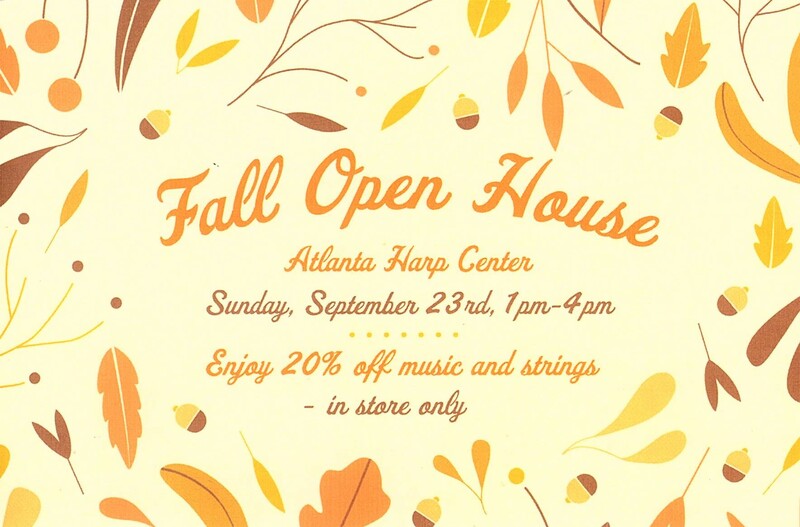 We will be bringing lever and pedal harps, a variety of strings, and a selection of sheet music for you to browse. 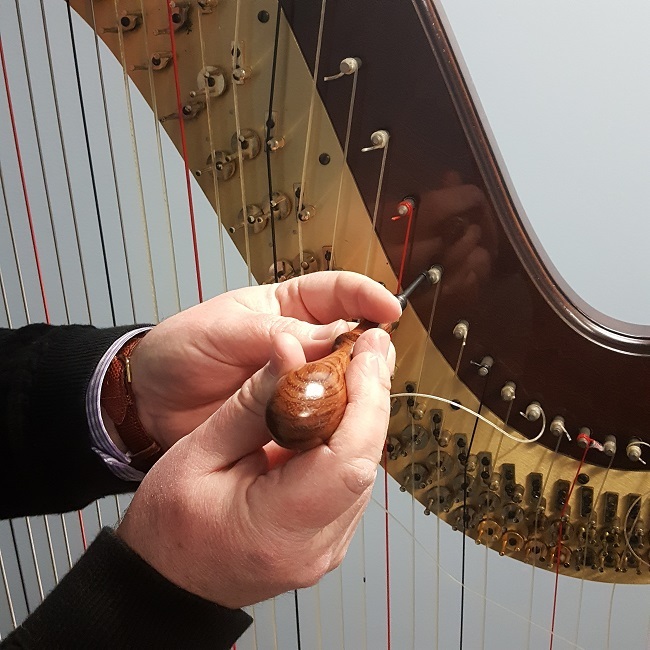 We will be giving a string workshop from 2:00-3:30, where we will discuss the different types of strings, how to care for strings, how to change knots, how to install them on a harp, how to efficiently tune your harp, and answer any questions you may have! 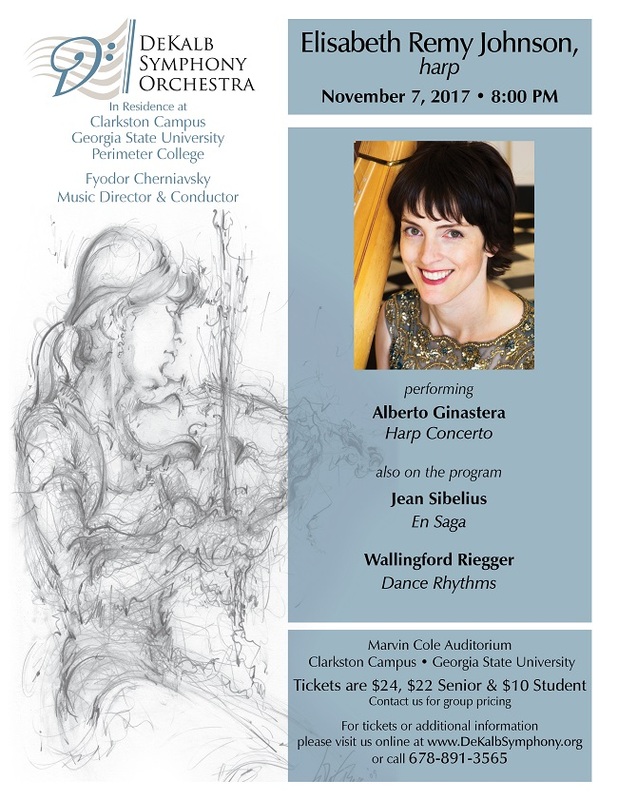 An open performance opportunity for adult harpists of all levels! 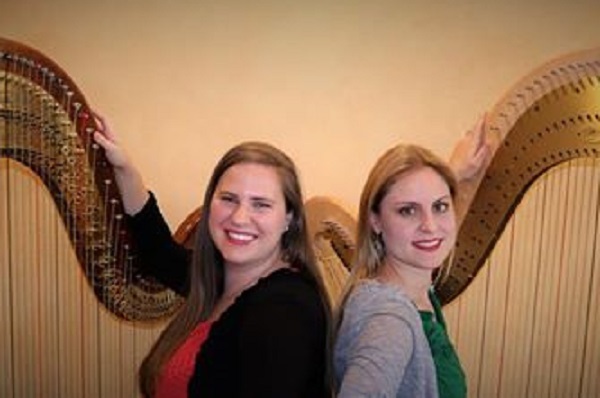 This is a chance to share the music you've been working on with fellow adult harpists, meet and great other local musicians, and enjoy some lovely harp music. If you suffer performance anxiety, never fear: this is a low-key, welcoming environment, no stage involved! There will be a light reception to follow. Pedal and lever harpists welcome, and there is no need to bring your harp! 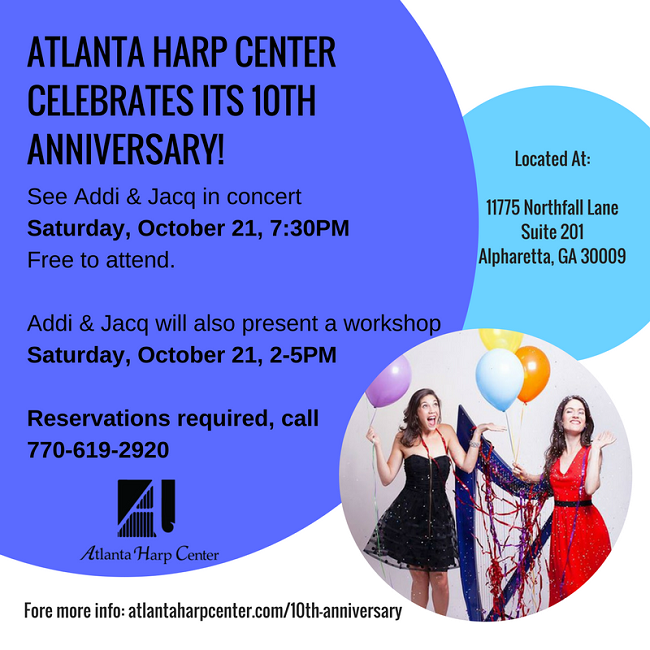 Please RSVP at info@atlantaharpcenter.com to partake in this fun event! 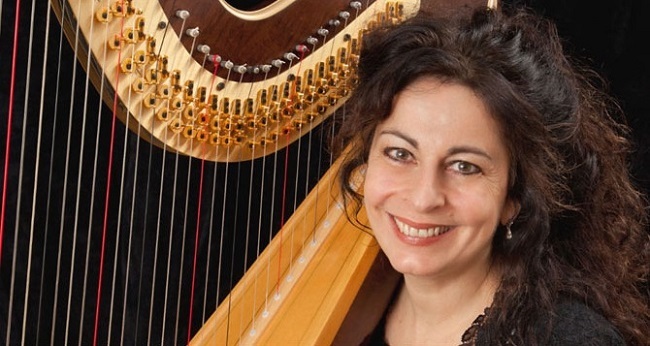 Harpist Rita Costanzi resided in Vancouver for 28 years and was one of the city’s most recognizable artists, sharing her talents as concert performer, recording artist, actor, teacher, composer, writer and Arts Advocate. 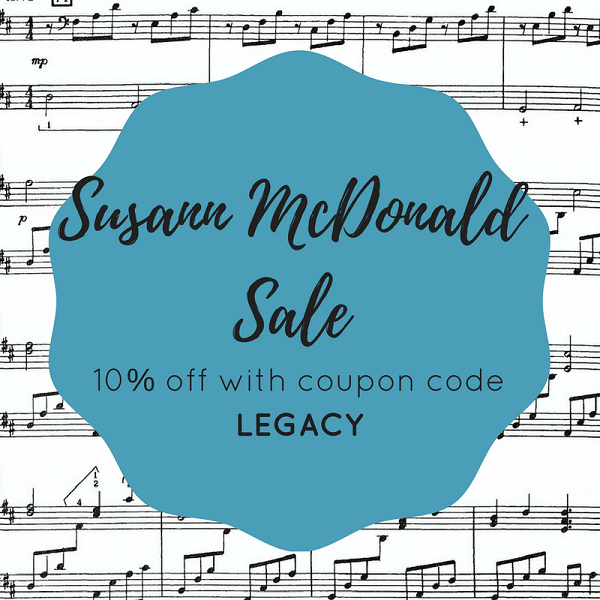 Formerly Principal Harpist of the Vancouver Symphony Orchestra, she subsequently became Solo Harpist of the CBC Radio Orchestra and on the faculties of the University of British Columbia School of Music, the Comox Valley Youth Music Center and the Symphony Orchestra Academy of the Pacific. $40 for participatns, $20 for observers. Payment accepted in cash or check at the door. Please e-mail ahsgeorgiachapter@gmail.com to RSVP by April 23rd. Tom and Scot from Bell Harp Tech will be performing lever and pedal harp regulations at the Atlanta Harp Center. Please contact bellharp43@gmail.com to set up an appointment. 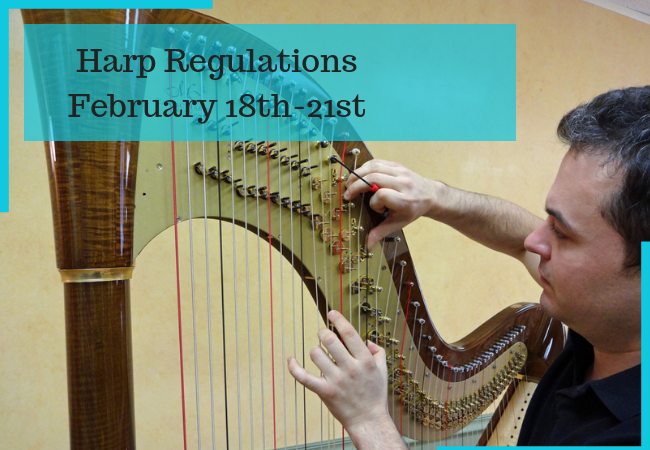 Harp technician Erich Rase will be performing pedal and lever harp regulations Feb 6th-10th. Please contact erichrase@comcast.net to schedule an appointment. 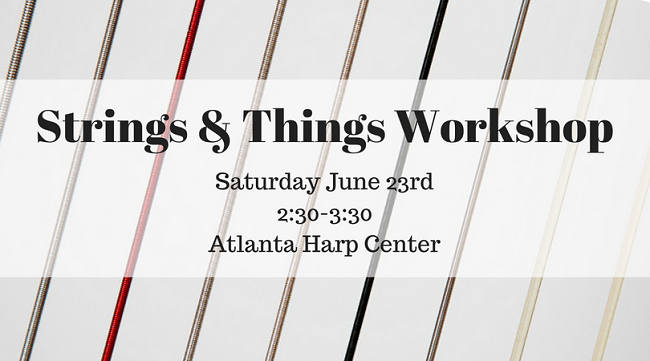 He will also be giving a Harp Care and Maintenance Workshop Saturday 2:30-4:00. Registration for this workshop is $15. 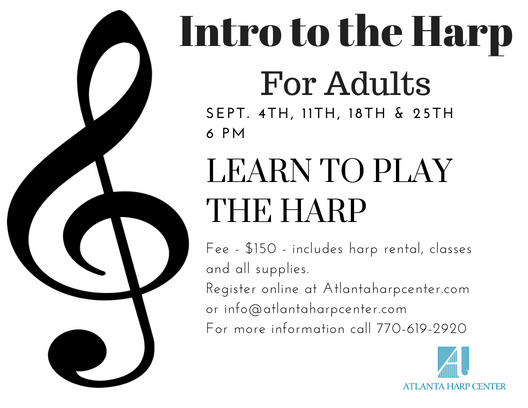 Please contact us at info@atlantaharpcenter.com to reserve your slot. 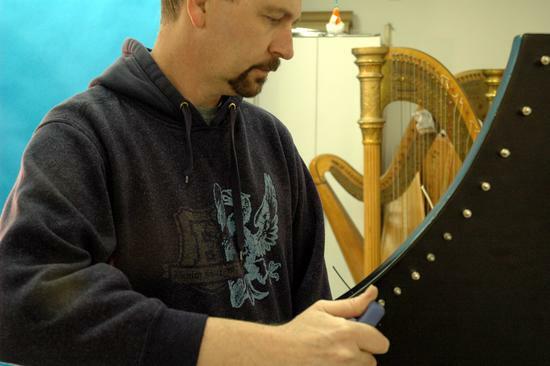 Learn how to take care of and perform basic maintenance on your harp from an experienced technician with over 40 years of experience! $15 registration. 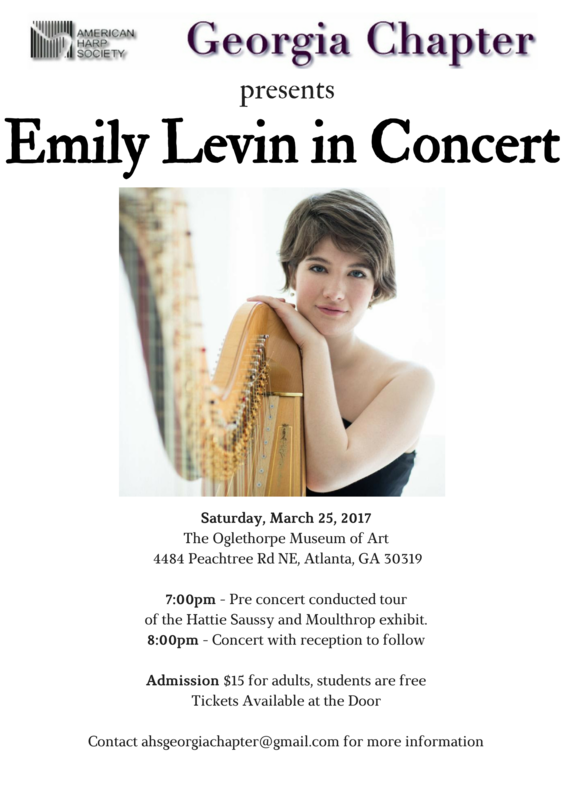 Please e-mail info@atlantaharpcenter.com to reserve your slot. Ivan Gardner will be performing regulations February 13th-15th. Please contact jhdjm4@earthlink.net to schedule an appointment. 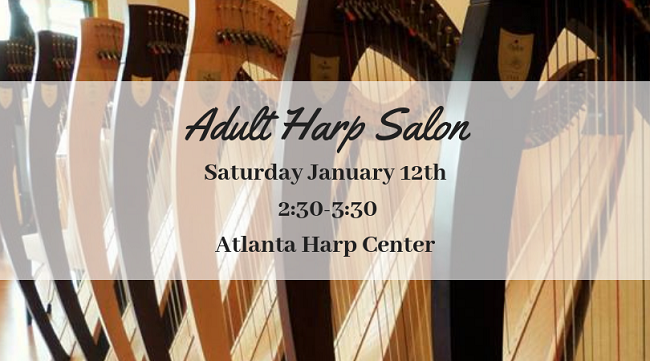 See the students of Atlanta Harp Center teachers Ashley Collins and Tyler Hartley perform solo and ensemble harp music in a combined studio recital! 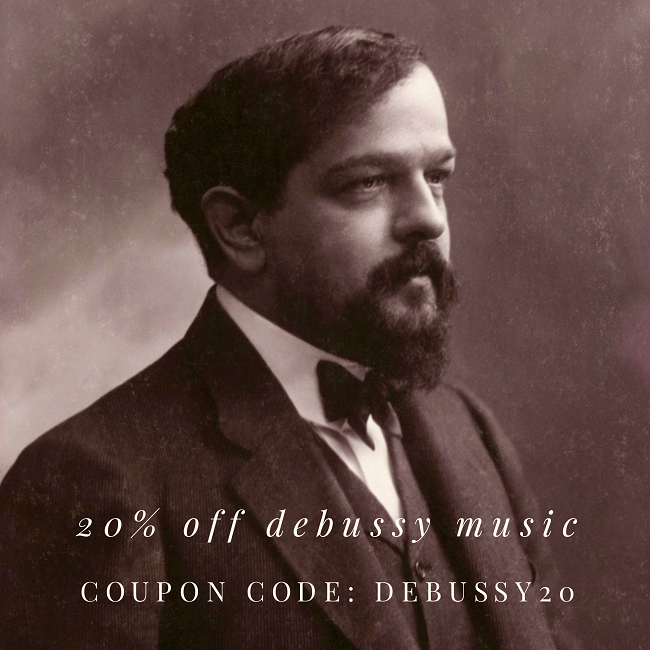 Visit our FAQ for more details, and follow us on Facebok on Friday November 24th for coupon codes! 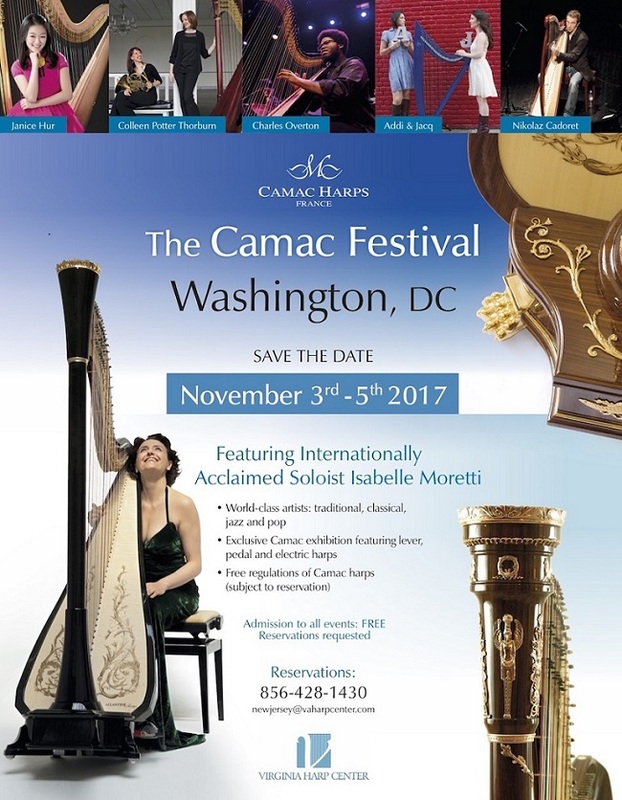 Visit Camac's Blog for more info on this festival! 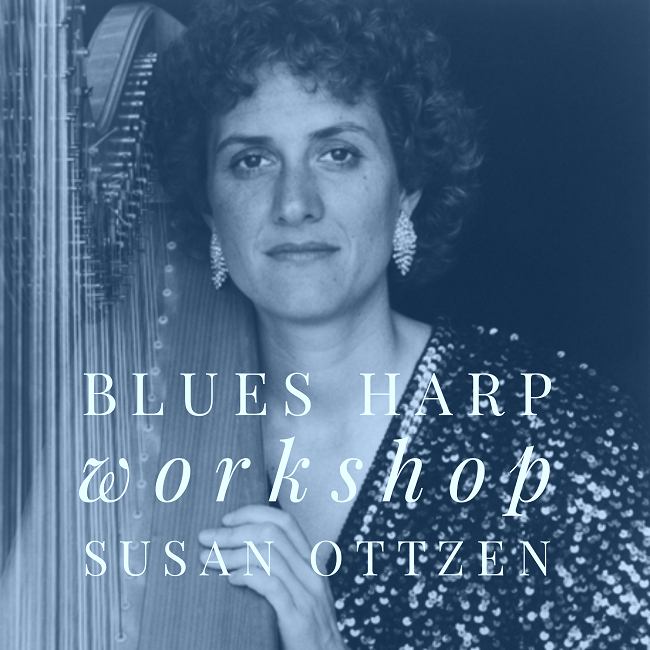 Former Atlanta Symphony Orchestra harpist Susan Ottzen will be teaching the basics of blues harp, including how to read a lead sheet, improvise, play call-and-response, and play in a blues ensemble. 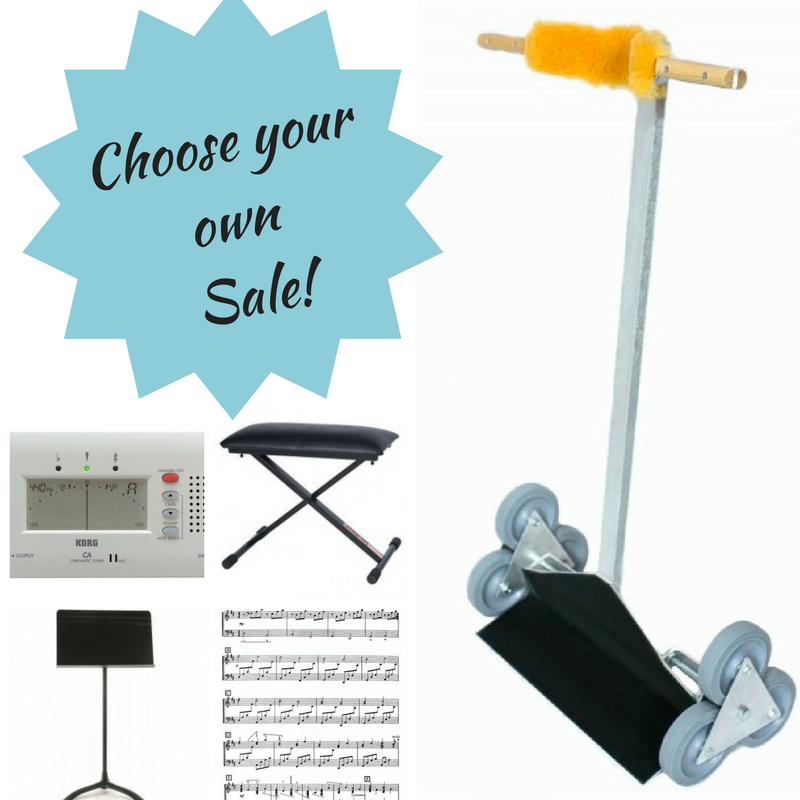 Open to both pedal and lever harpists of all ages. At least one year of harp experience is recommended. Call 770-619-2920 or e-mail us to reserve your spot! They specialize in beautiful ayers and ballads, but have a vast repertoire that includes Jigs, reels and dances as well. 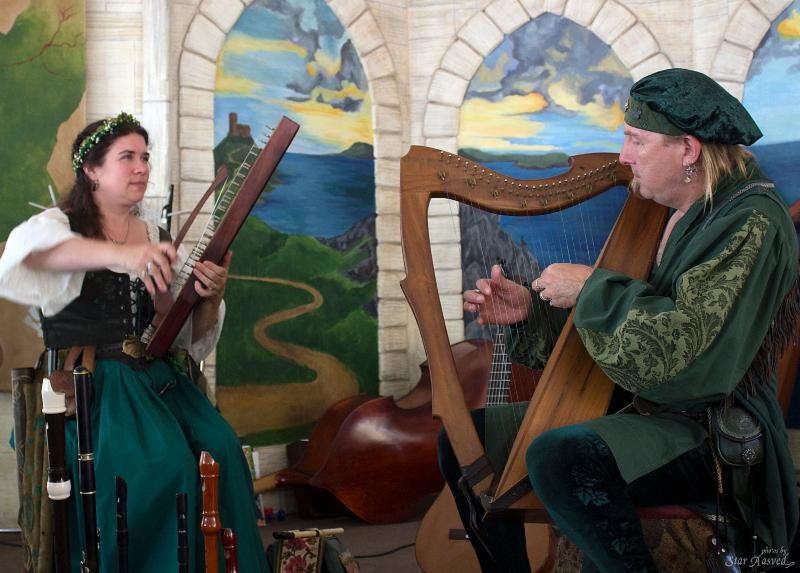 The Music of The Harper and The Minstrel has been featured in several television programs including ABC's Nashville and Secrets and Lies, NBC's Parenthood and Parks And Recreation, Fox's Lie To Me. Tune and Change Your Strings with Confidence! 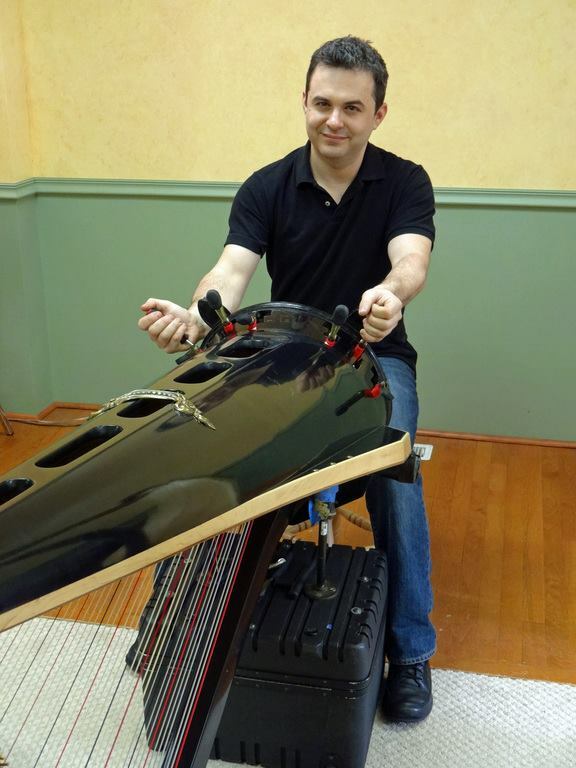 All lever and pedal harpists welcome! 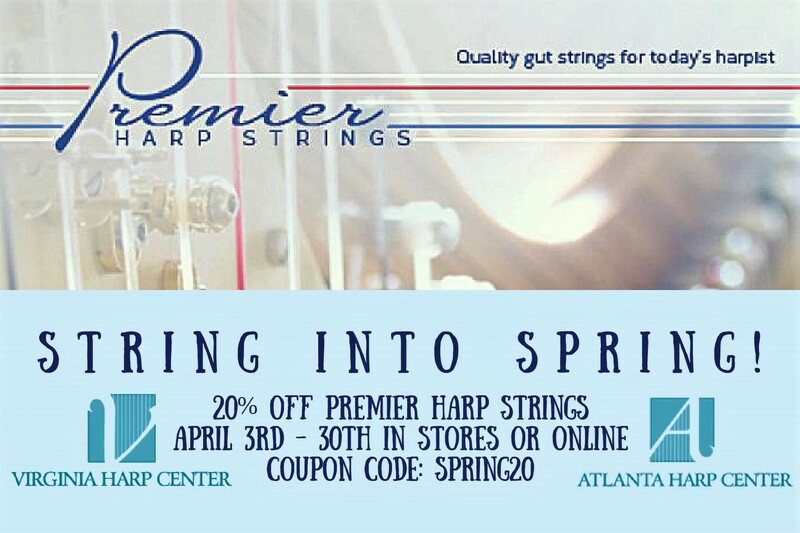 Participants will receive 10% discount on all strings and tuning equipment. Lyon & Healy technician Ivan Gardner will be at the Atlanta Harp Center February 20-21, Please e-mail jhdjm4@earthlink.net or call 804-304-5016 to schedule an appointment! 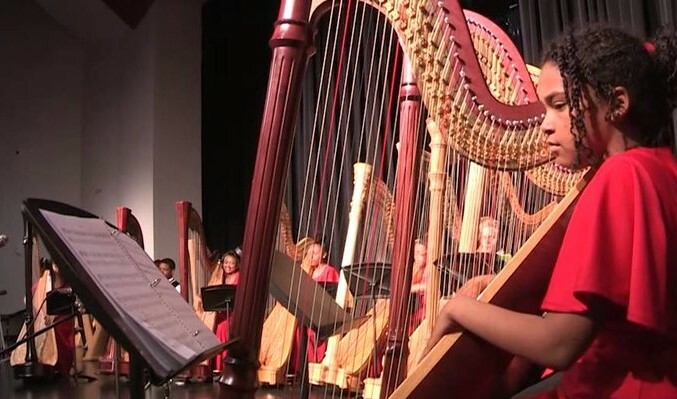 The Urban Youth Harp Ensemble's Winter Holiday Concert is Tuesday, December 6, 2016 at 7:00 pm at the Drew Charter School Theater. Free admission. Beginning Harp Workshop featuring teachers, Tyler Hartley and Ashley Collins! This course is geared towards beginners. 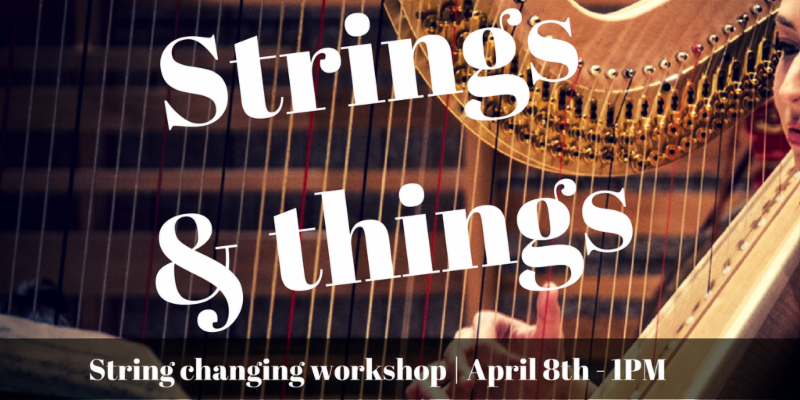 No musical experience is necessary and harps will be provided! Registrration is $15 and pre-registration is encouraged. Contact premierharpistsofATL@gmail.com or call 678-457-8396 to register or for more information! 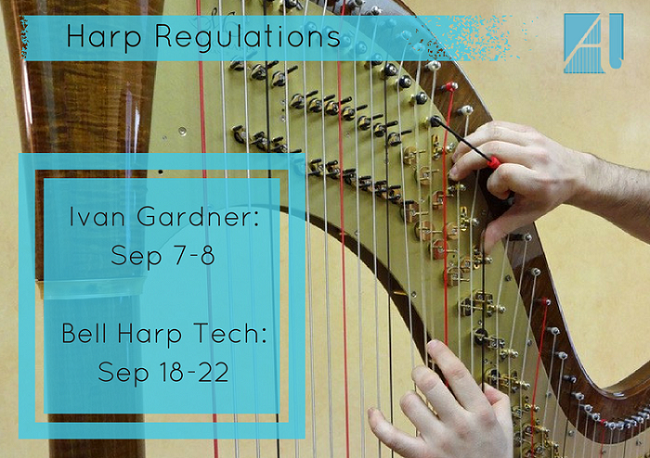 Lyon & Healy technician Ivan Gardner will be at the Atlanta Harp Center from November 9-11, Please e-mail jhdjm4@earthlink.net or call 804-304-5016 to schedule an appointment!